Don’t be afraid to push yourself and more importantly, listen to your coach and team director! 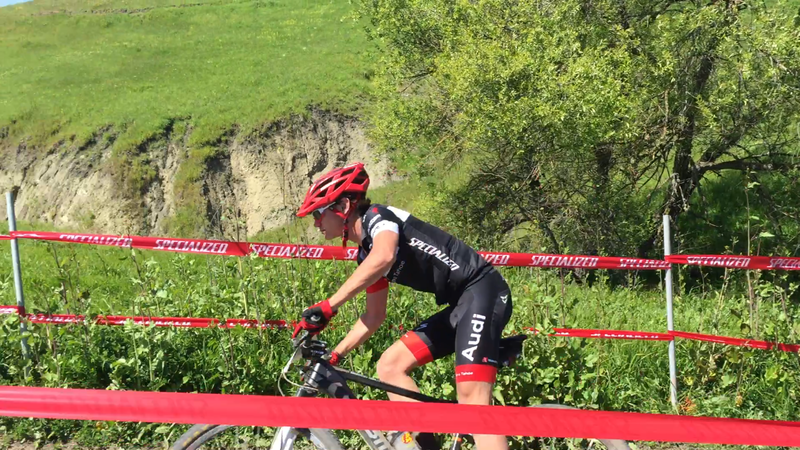 Last Saturday, I tested my limits during a crit and pushed hard during the race. I tried to chase after three Cat. 3’s as they made a break-away and seriously spent some gas. After being in a great position on 2 laps to go, I found myself totally spent on the backside of the bell lap and came in 11th. My race director and friend, Heidi Littenberg, told me I must work harder on those Endurance days…that it will help me last till the end. On Sunday, the following day, my coach Julie Young had a 3-hour hilly endurance ride on the schedule. Per Heidi’s suggestion, I rode hard even though my legs were tired from the race the day before. The next day, I was super tired, fatigued, and sore. I emailed my coach asking her if I should even do the Tues. night road race almost secretly hoping she would say, “Sure, rest up…give those legs another day off”. But, nooo! 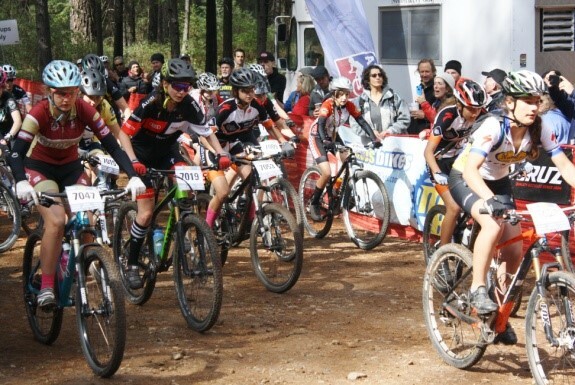 She said to race and to “….do it with confidence and conviction”. So, I did. And I PR’d the course. Julie is a great coach. She gets you dialed in and knows how much to push you. She figures out your challenges and pushes you, teaches you, supports you! 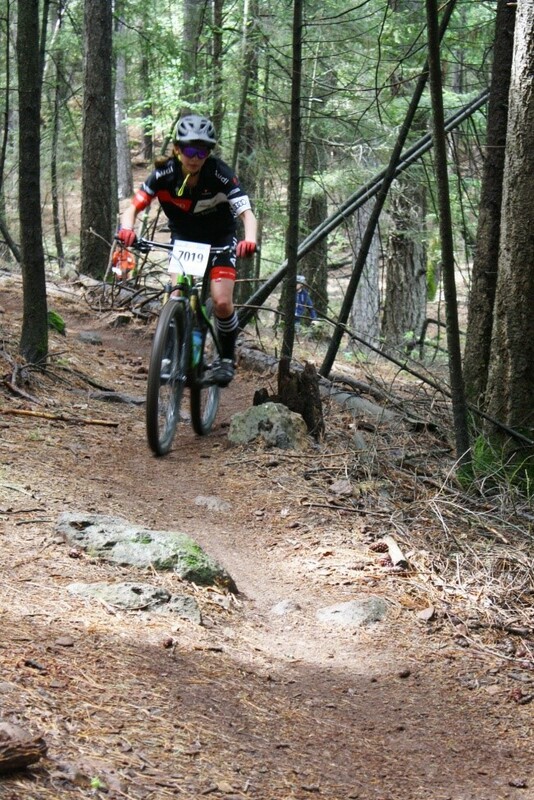 Whether it’s cycling, running, triathlons, snow sports training…Julie is awesome! A few weeks ago, Silver Sage Sports and Fitness Lab and The Reno Wheelmen presented the documentary film, “Half the Road” in Reno, NV. This showing was to benefit Bike Like a Girl Cycling Camps and to spread awareness about the inequalities that professional women cyclists continue to face to this day. The event included not only the showing of Kathryn Bertine’s informative and most excellent documentary, but it also included a Women’s Cycling Panel Discussion. “Modern society believes that women hold up half the sky when it comes to equality and progression. So in the sport of professional cycling, why aren’t women receiving half the road? After the documentary, we were excited and grateful to have the opportunity for a panel discussion featuring current and past pro racers! This impressive panel included Julie Young, Inga Thompson, Kathryn Bertine (Half the Road), Robin Farina, and Alison Tetrick. The q&a covered various topics from each athletes’ past and current experiences in the pro racing environment and ended with the question, “how do I get my daughter more interested in the sport” from one of the dad’s in the audience. This led to discussion of the Bike Like a Girl Cycling Camps, the beneficiary of the evening! Julie Young and Michelle Faurot are starting a pilot program here in the Reno/Sacramento area next year. Their goal is to replicate this program nationwide. The camps will be for girls ages 12-15 and will run for 8 weeks. They will kick off with two half-day sessions over a weekend followed by a weekly evening clinic/ride. 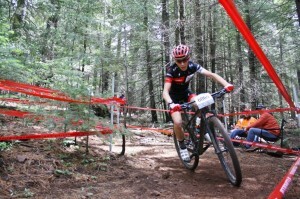 These camps will be supported by local retailer(s), local women team riders (Reno Wheelwomen, ya! 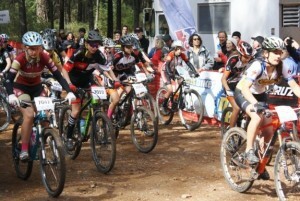 ), and Bike Like a Girl coaches. The program structure will include safe bike handling skills, working as a group/team, gaining confidence on the bike, and most importantly, having fun! The program goal is for girls to gain the skills and confidence to be able to take part in an event ride near the end of the 8 weeks. The girls would ride as a team focused on getting everyone to finish the target event. What better way to kick-off the fundraising for camps that will teach and empower more girls on bikes than the showing of Kathryn Bertine’s documentary, Half the Road. In the world of professional cycling all male riders who reach the UCI Pro Continental level are allocated a minimum-wage annual base salary. In 2011, UCI President Pat McQuaid-the head of cycling’s international governing body was asked whether female professional cyclists at the Pro Continental level also deserve a minimum base salary. 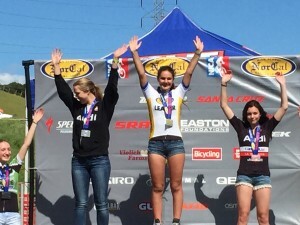 “ He answered, “I’m not so sure…Women’s cycling has not yet developed enough…”. Let us girls hope that with this revealing documentary and the birth of Bike Like a Girl Cycling Camps, awareness will continue to grow. 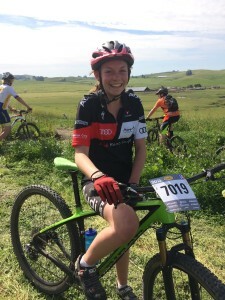 And, young girls will become empowered, self-confident, and have the opportunity to discover the joys of riding a bike with others who love the sport! 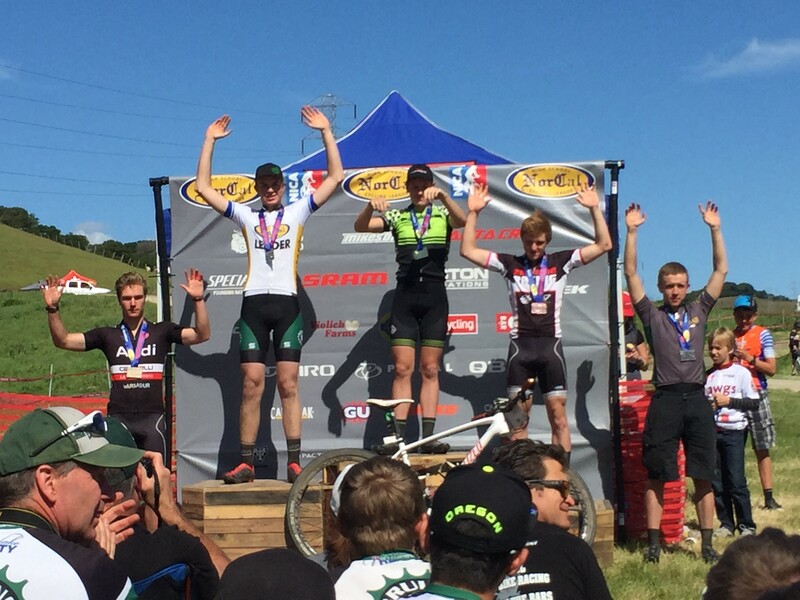 Contributed by Ian Meintjes, Reno-Tahoe Junior Cycling Team Member and Silver Sage Sports and Fitness Lab sponsored athlete. 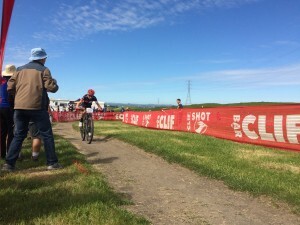 Here it is: the race that every mountain bike racer from Downhill to Cross Country dreams of, the Sea Otter Classic hosted by Subaru. This is the place that the beginners see the professionals and all the new products at the venue, but what is most important is the racing. Reno- Tahoe Junior Cycling took on the 23 mile course with 3,200 feet of climbing and fierce competition from all over the country. We had all fourteen riders representing our sponsors and maybe coming out of the event with a new one! Upon arrival on Thursday night, the team rested for a long day in the venue getting the team’s name out there on Friday. All of our racers went to tents in the venue talking about the team and showing them how amazing this team really is. Bollé Eyewear was particularly impressed with our team and decided to sponsor us saying, “These are the kind of kids that we want to be involved with. They are nice and respectful.” After a successful day in the venue, we all took the Saturday to rest and prepare for the storm that was going to hit on race day. We had six racers in category 1, one racer in category 2, and seven in category 3. 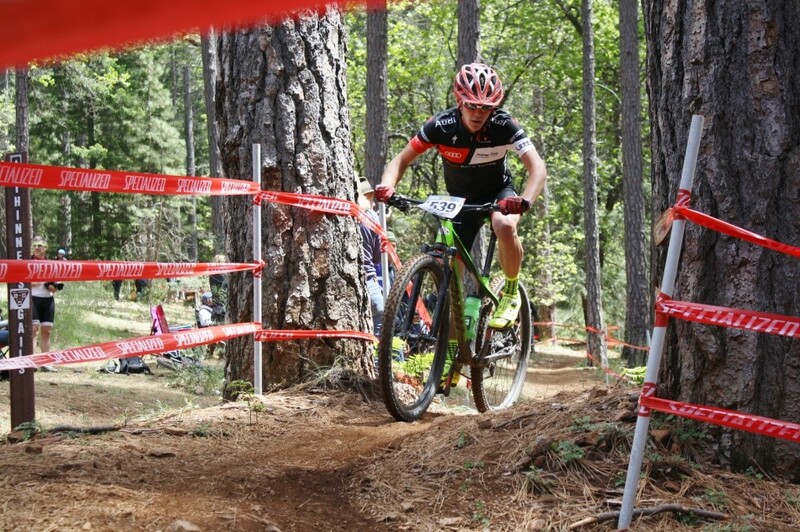 Boggs Mountain is the ultimate destination for riding in general, but Reno-Tahoe Junior Cycling had the privilege to race this technical terrain for the NorCal Regional Championships. 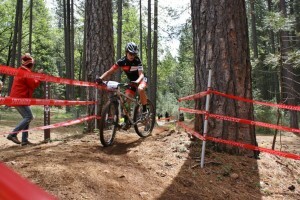 This race is everybody’s favorite and it really fits into our style of riding. 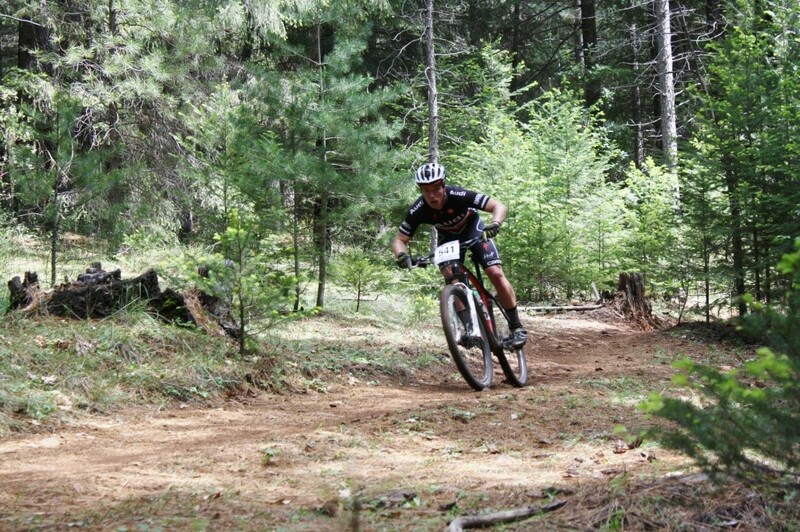 The course was full of rocks and slippery roots that could easily throw your tires in the air and you to the ground. 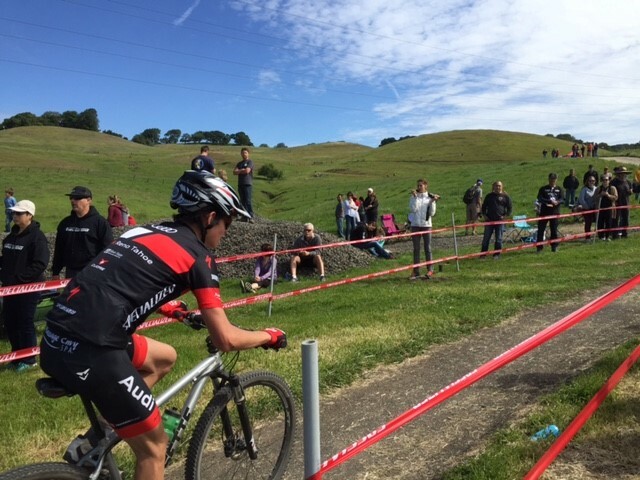 Our high school racers excelled on this race course because the terrain was very similar to that of our Reno/Tahoe local trails that we train and ride on every day. 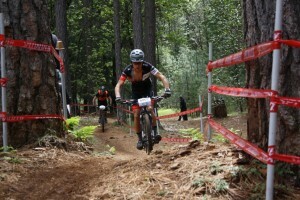 Boggs is the NorCal race that favors more the technical riders and a little bit less the extremely fit riders. Good thing Reno-Tahoe has both of those characteristics in their riders!! 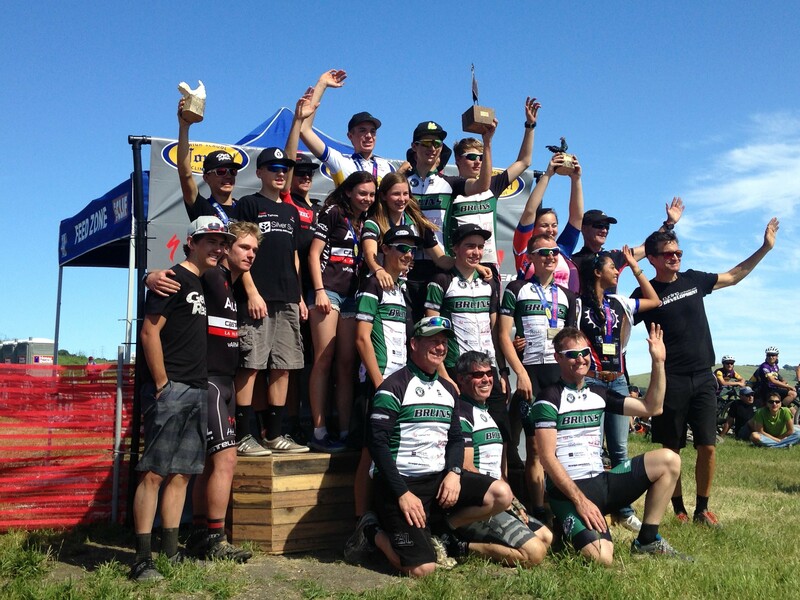 Having two boys in the Varsity division, three in the Sophomore division, and two girls in the freshman division, it made for a very busy day of racing. 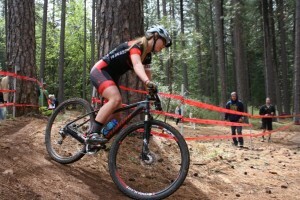 The Reno-Tahoe Junior Cycling team’s race schedule was filled for the month of April. Basically almost every weekend was filled with a race. 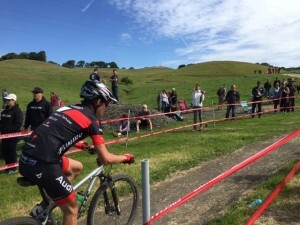 The first stop of the second weekend of April was the NorCal High School Race in Petaluma, CA. Every high school racer was out of school enjoying spring break. 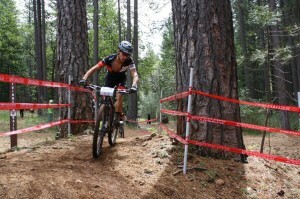 The Reno-Tahoe Composite team met up on Friday and headed down to pre-ride the NorCal League’s new race venue. Most of the Reno-Tahoe Composite team all crammed into the team Suburban and headed down to round four of the NorCal High School Series. When we arrived to the new venue, Five Springs Ranch, all the Reno-Tahoe Composite team headed out to check out the course. The team also had to finish a work out with tempo intervals and an hour and a half of riding. When the team was finished with their workout, they all knew it was going to be one of NorCal’s fastest races yet. The trail was about 3 feet wide and flat with no rocks in sight. It was very fast with some loose and tight switch backs all throughout the course. The day of the race, the boys were surprised to hear their race laps were bumped down a lap. Because of the girl’s times for each lap, NorCal took off a lap for the boy’s races. 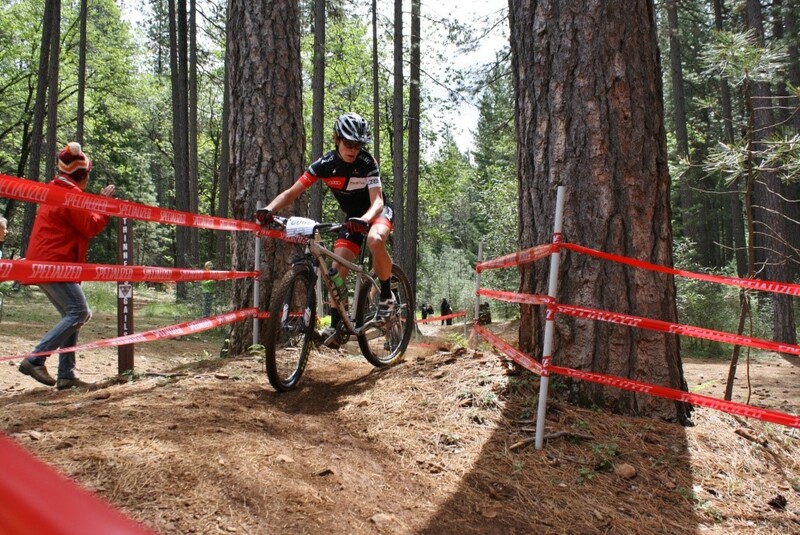 So, the Sophomore Reno-Tahoe Composite team guys only did two laps and the Varsity guys did only four laps. Right there the team all knew this race was going to be a sprint right out of the starting line. When the whistle went off for the Sophomore D2 boy’s start, every Sophomore was sprinting for about forty nine minutes to an hour. The race was extremely fast. Passing was easy on the climbs with the three foot wide trail, but passing on the descent was harder because of the tight and loose dirt, but had to be done to place well. Freshmen girls went off an hour earlier than usual at 9:15 doing 2 laps. In the Freshmen girls category, the Reno-Tahoe Composite team had racers Camille Syben and Aubrey Milner racing. Camille Syben finished 2nd with a time of 1:00:21. Aubrey Milner finished 3rd with a time of 1:00:53. Sophomore D2 boys went off at 10:45, also an hour earlier than usual. racing 2 laps. 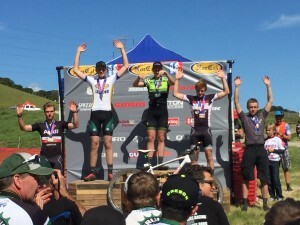 In the Sophomore D2 category the team had Austin Smith, Tate Meintjes and Zach Waymire racing. Zach Waymire finished 2nd with a time of 49:19. Austin Smith finished 6th with a time of 51:13. Tate Meintjes finished 9th with a time of 52:40. Varsity Boys Started at 12:20pm doing 4 laps. 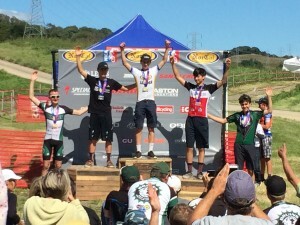 In the very competitive Varsity category, the team had Dylan Syben and Ian Meintjes racing. Dylan Syben finished 4th with a time of 1:42:04. 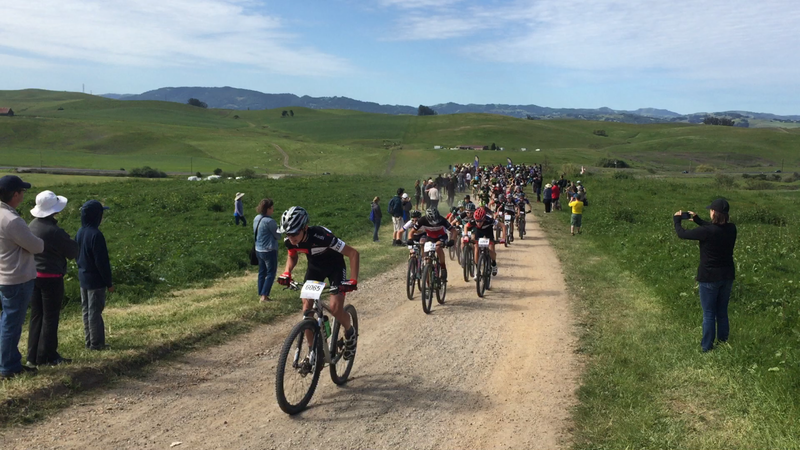 Ian Meintjes finished 19th with a time of 1:59:38, showing all of us the hardest part of mountain biking is when you’re just having the worst race and your brain is telling you to give up. Ian showed us all something we should be proud of with overcoming that mental aspect of not giving up. He displayed something we should all learn from with not ever giving up. Reno, NV (May 15, 2015) – Dr. Andrew Pasternak, of Silver Sage Sports & Fitness Lab, will be presenting on “Hyponatremia in Ultramarathoners” as part of the Tahoe Ultra Camps endurance training, June 12 from 4:00 to 5:00 p.m. For more information on the Tahoe Ultra Camps, visit tahoeultracamps.fitzgeraldendurancecoaching.com. 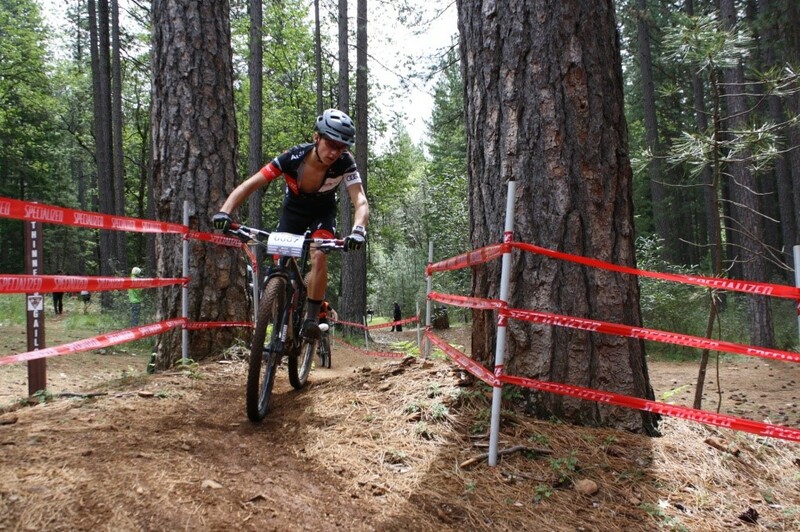 Silver Sage Sports & Fitness Lab will also be offering a 10 percent discount to all Tahoe Ultra Camp participants on physiologic (lactate threshold, Vo2 max and metabolic efficiency) testing and gait analysis through September 30. 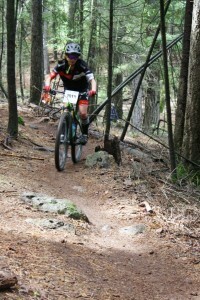 Join Julie Young, 2011 Tahoe Trail 100 winner and multiple-podium finisher for FREE Tahoe Trail 100 Course Previews being held on Sunday, June 7 and Sunday, June 28 at 9:00 am. Interested guests should meet in front of the Adventure, Guiding, and Learning Center in the Village at Northstar at 8:45 am and be ready to ride at 9. 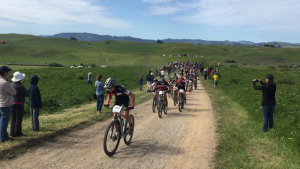 Participants should bring everything they need for a 50K cross-country mountain bike ride. The ride will take around 4 hours. Helmets are required. This clinic is free. All participants will be required to sign a Northstar waiver upon arrival. Reno, NV (May 8, 2015) – Dr. Andrew Pasternak, of Silver Sage Sports & Fitness Lab, will speak to the Rotary Club of Reno Sunrise, Friday, May 22 at 7:00am at the Atlantis Resort Spa. He’ll be sharing tips and tricks to help cyclists entered in the Edible Pedal, addressing topics including bike equipment, bike fitting, training and nutrition. 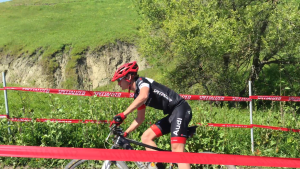 Silver Sage Sports and Fitness Lab is the Official Training Partner for Edible Pedal 2015. The company uses a scientific approach to physical fitness, helping athletes of all abilities and interests maximize their precious training time and achieve results. For more information, visit www.silversagecenter.com. There should be a clear objective to each and every training session, as well as an understanding of how that relates to the goal, in this case a 10-miler. Empowered with this understanding, you can train more purposefully, which equates to more effective training and successful results. Here are a few key components to a 10-mile training program, assuming you already have a solid endurance training base in place. Consistent, trunk-hip stability work (training the ability to hold a stable neutral pelvis and spine and efficiently generate the power from the hips in to the lower extremities) x two-three days/week and hip activation (to improve hip recruitment in the running stride) x three days/week as a warm-up protocol. Speed and power sessions for example a track workout with 3(5×200 meter on/200m easy). The “on” is performed at 80% ramping toward 100%. The objective is to institute solid, efficient mechanics, as well as gain running specific strength and power. We need to get fit to run, not run to get fit. We start these at a more moderate intensity to ensure that purposeful, controlled mechanics are in place. Once established, increase the speed, power and intensity. The goal is not how fast we can run at the expense of technique, but how well can we maintain solid, controlled movement under higher intensity. Also, this workout, by controlling recovery time, helps improve recovery rates. Interval sessions for the 10-miler may start with lactate/anaerobic threshold intervals and progress to V02 type intervals, depending on each individual’s race goals. Lactate threshold intervals train the body to more efficiently process the lactic build-up. Lactic acid is a by-product of burning carbohydrates. This easily metabolized fuel source is the energy of choice at higher intensities. As the intensity levels transitions along a spectrum from aerobic (with oxygen) to anaerobic (without oxygen) so does the fuel source from fats to carbohydrates. By consistently incorporating these intervals (and we suggest alternating them on flat terrain and as hill repeats), at the appropriate time during the week, you will run, with more metabolic efficiency at higher speeds. 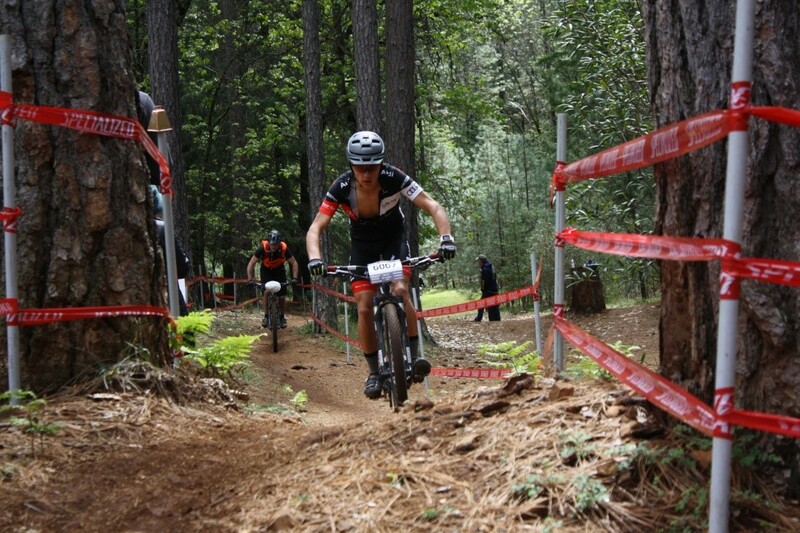 Supplement running with cross-endurance activities, such as swimming, cycling (road and mountain) and hiking. While we want to perform specific structured workouts while running to gain the greatest specific muscular and metabolic adaptations, using other forms of exercise to continue to develop and maintain a wide endurance base provides active recovery, mental and physical variety to avoid feeling obligated to running, and injury prevention. Ultimately the key to successful training is individualizing the plan to efficiently and consistently fit all the training components in to life’s priorities of family and work. Individually developed plans also consider how each individual adapts to the training load, to ensure adequate rest to counter-balance the work resulting in a progressively upward, performance trajectory. Whether you’re looking to complete the Reno 10-Miler injury-free or you want to set your own personal record, Silver Sage Sports and Fitness Lab helps people at all levels of ability. If you have questions about any of these workouts or are just looking for advice, email us at jyoung@o2fitness.net. Monday coached workouts, meet at various Truckee area trails and include – speed to improve economy of movement; ascending and descending technique/skills; track workouts to improve specific running power and strength; tempo and sub lactate threshold intervals; as well as in-the-field video and gait analysis. Lately, it’s been difficult to remember Julie’s mantra that races are a way to express hard work, rather than focusing on just the result. When life is stressful, sometimes that lift from a good result helps raise the spirits, even if it is temporary. But for me, the pursuit of the result when I’m stressed seems nearly impossible and I can adopt a “why bother?” attitude. I don’t want to put myself out there if I feel like anything less than some self-imposed goal will be a failure. I came into the Golden State Race Series weekend with those kinds of emotions front and center. I hadn’t raced in two months. That’s a long time to sit there and wonder if you’ve worked hard enough when you know the competition has been training. On day #1 of the two-day event, I had a good warm-up and hit the pavement, ready to start on one of my favorite criterium courses. It was hot enough to make everything feel like slo-mo, but during the race, my legs and lungs felt fantastic. The circuit race finish is tricky and it got the better of me a bit, but my spirits were raised anyway. I moved up the leaderboard for the weekend and felt like my racing brain came back. My concerns about the physical were put aside and they gave way to the tactical during the race. 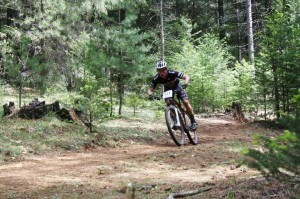 And, most important of all, I had a blast racing my bike. That expression of hard work happened and it felt great to be reminded of just how powerful that can be. On to the next race!